Happy Thanksgiving to my US dwelling friends! 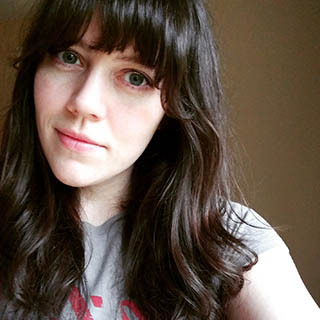 This is the final Black Friday post I have for you this week, and it's a good one! Today's post features two new releases from Rogue Lacquer. The first collection is the Wilds of Arizona Collection Pt 2. 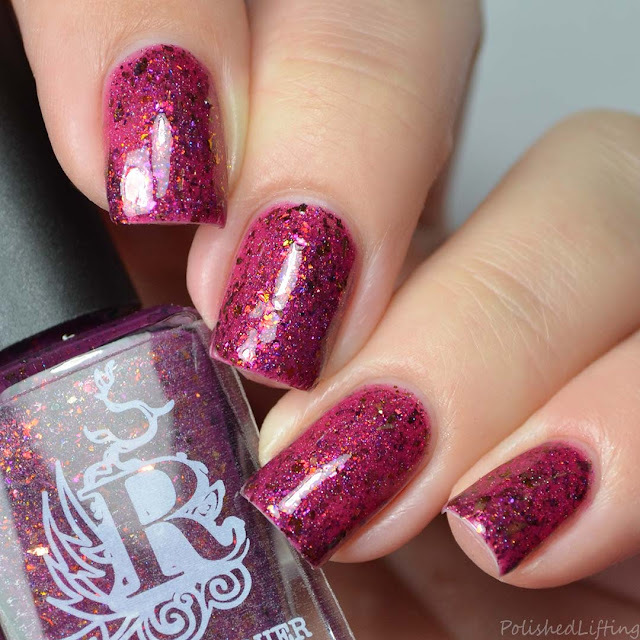 If you missed the Wilds of Arizona Collection Pt 1 be sure to check it out, it's super pretty! The second launch is the Not Your Average Holiday Duo. 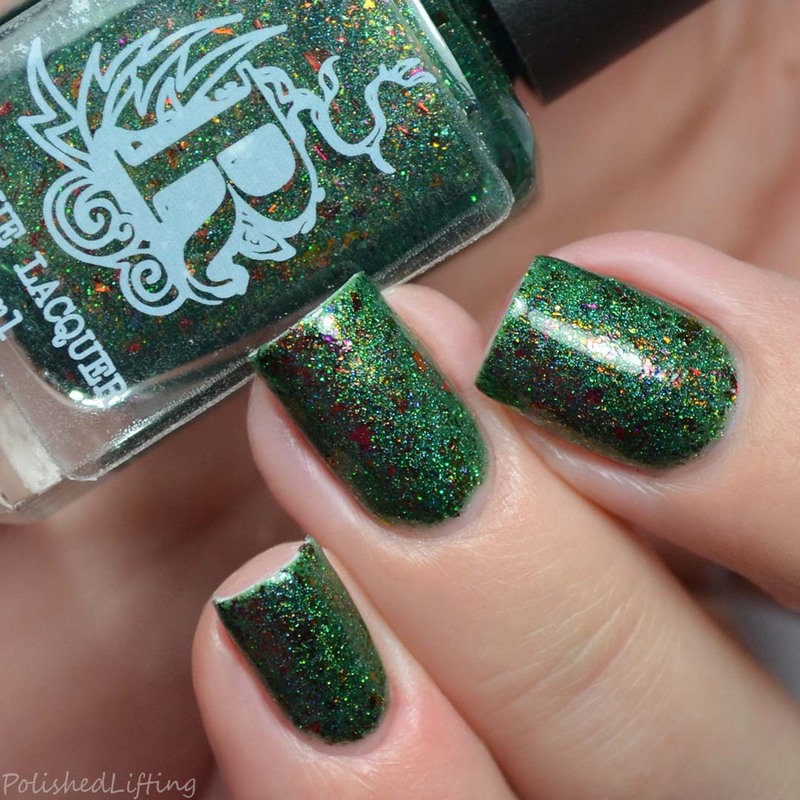 These are two unusual, but lovely colors for the upcoming winter holidays. Notes: This light blue holo pairs so well with the color shifting flakies, don't you think? It's a unique combo that I quite enjoy. 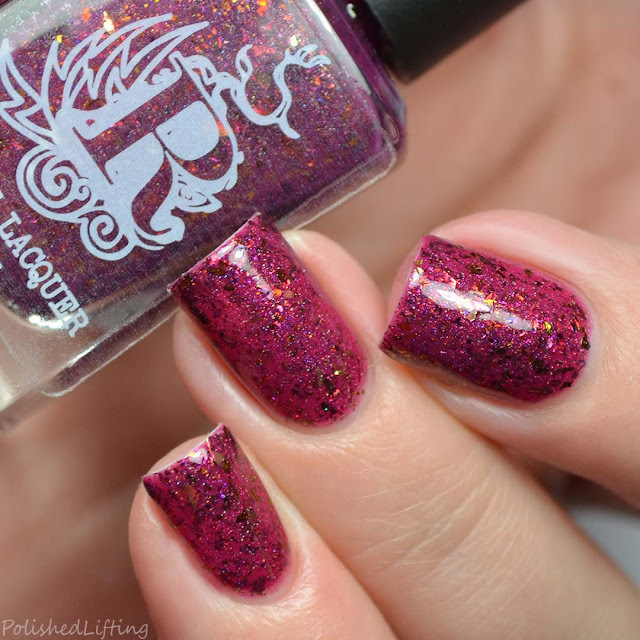 Notes: I just love a good berry colored polish and Antelope Canyon doesn't disappoint! Notes: If you don't know this already, I LOVE cactus. This color makes me ridiculously happy! Notes: Who doesn't love a nice charcoal polish? I think the red metallic flakes are a nice contrast to the base color. Notes: The rainbow-like shift in Unicorn Blood is so pretty and delicate. This is a must have in any collection! Notes: I love "ugly" colors so much. Olive is becoming kind of a trendy color but I have an OPI from nearly 15 years ago that I'm certain wasn't even remotely popular at the time. I really appreciate that this shade is starting to catch on. The Rogue Lacquer Wilds of Arizona collection and the Not Your Average Holiday Duo will be available on Black Friday. There will be 10-20% off site wide through Monday, no code needed. Christmas AF (not pictured in this post) is the $5 door buster. There will also be the Door Buster Set (not pictured in this post) including Visions of Sugar Plums, Peppermint Dream Scrub, and a cuticle balm set for $15. 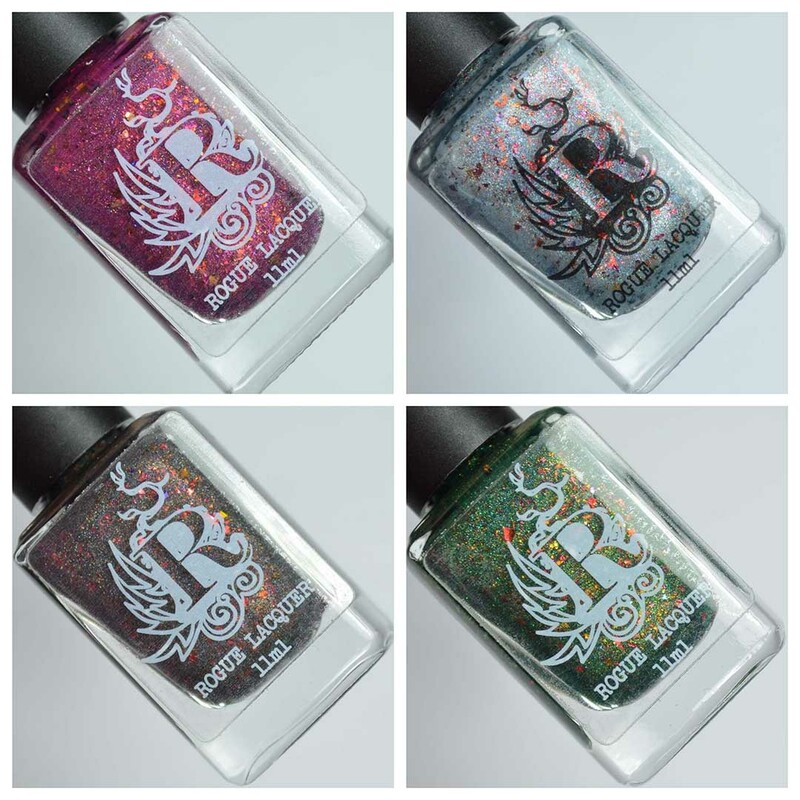 In addition there will be $14 grab bags that include two mystery polishes. Domestic shipping is free with orders over $50, use code BFROGUE50, and $10 off international shipping on orders over $50 with code BFINTERNATIONAL. 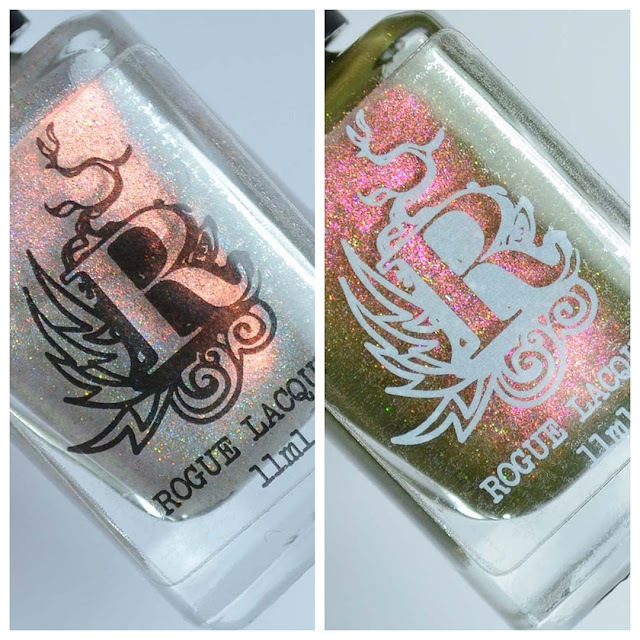 If you enjoyed this post you might like Rogue Lacquer Turn On The Light | Polish Pickup November 2018 and Rogue Lacquer Spring Punk Collection & Wax | Digit-al Dozen Indie Week.